A two-in-one silicone phone pouch fits credit cards, IDs, or cash and also features a removable microfiber screen cleaner. A 3M adhesive strip securely attaches the Card Caddy to the back of your device. The soft cleaning cloth can be used to gently clean dirt and fingerprints from your screen. To use, simply peel off, clean the screen, and return the screen cleaner to the exterior of the pouch. 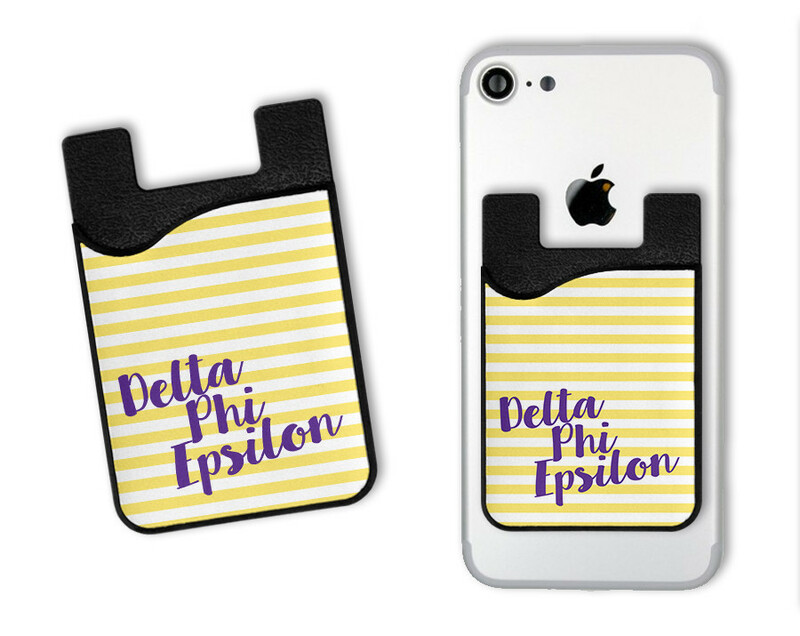 These useful card holders adhere easily to the back of any phone or phone case. 3M adhesive insures the wallet will not detach and when removed, it leaves no residue. It creates a pocket right on the cell phone. (If cloth stops sticking, simply clean with an alcohol pad).